Ryan decided he was going to start his own food blog in contention to mine. Here’s his first shot at a diner somewhere in Bellingham. Ryan: “Today I had chicken strips. They were good. Tastes like chicken. Tomorrow we will sample the many delights of a Mc Donald’s cheeseburger.” The End. 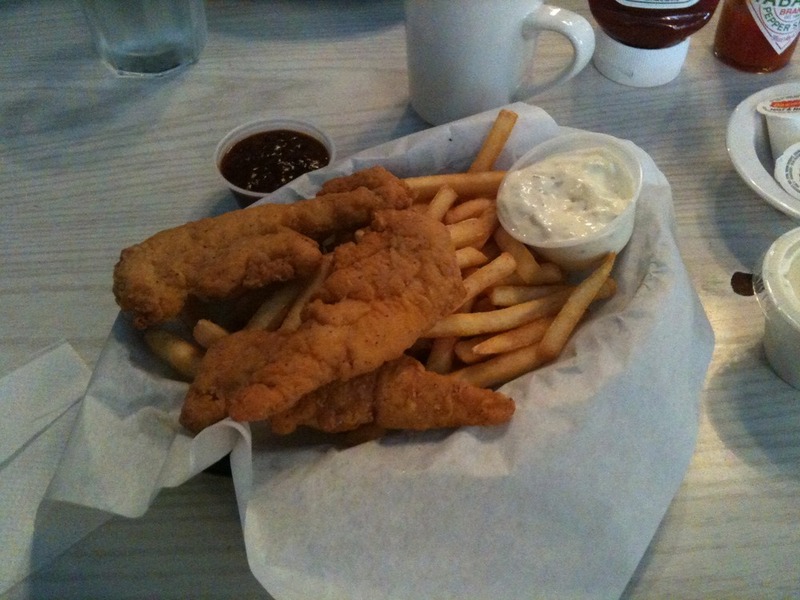 That whitish sauce looks deliciously unhealthy. God bless America. You should look for a KFC out there…they have a burger where the chicken is the bun in between a beef patty with cheeze.